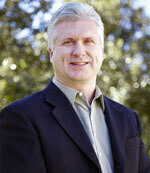 Jeff Pyden is President and CEO of OmniVue, which he founded in 2003. For more than 20 years, Jeff has been following his passion for improving business execution and efficiency through technology. OmniVue is the culmination of both his technical expertise and inherent entrepreneurial spirit. Jeff’s constant pursuit of innovative, technical ideas drives the success of OmniVue’s clients and keeps them at the forefront of cutting-edge advancements. Prior to creating OmniVue, Jeff was the National Practice Director for Surebridge, a national software, services and hosting firm; before that, he was the President and CEO of APM Technologies, an Atlanta-based technology firm. In his free time, Jeff actively mentors young entrepreneurs. He also enjoys running and spending time with his wife Nancy and their three daughters.